General Motors and Buick had a big day at the opening of the 2017 Shanghai Auto Show. The brand revealed the Buick Regal sedan and showed off its first-ever extended range vehicle in the form of the Buick Velite 5. But, GM is concerned about future subsidies for electric and hybrid vehicles from the Chinese government. So, it’s sweetening the deal itself. GM will offer a New Energy Vehicle subsidy totaling RMB 36,000 ($5,233 USD) for the Velite 5. Starting prices for the Velite 5 begin at RMB 265,800 ($38,595 USD) and max out at RMB 295,800 ($42,951 USD). The Velite 5 uses an identical powertrain from the 2017 Chevrolet Volt, pairing an electric battery system with a 1.5-liter four-cylinder gasoline engine. 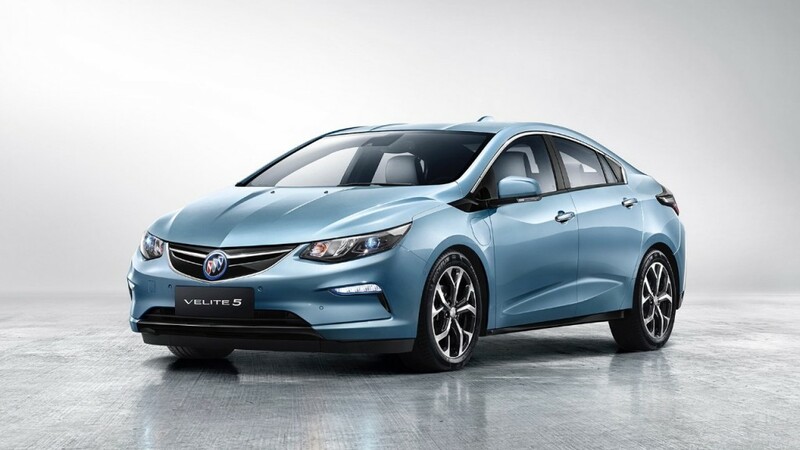 The Velite 5 is scheduled to go on sale later this year in China and will mark the true beginning of the “Buick Blue” strategy. The brand plans for smaller powertrains, advanced range-extending technologies and a dedicated battery electric vehicle in the next few years. Does SAIC cover 50% of the subsidy? Seems like they should – they take 50% of the sales income in China, yes?